On Tuesday 9 April, Dr Friedrich Poppmeier passed away at the age of 85. Dr Poppmeier was one of the founding fathers of SPAR Austria and was instrumental in shaping the company's success. For his contribution to the development of SPAR, Dr Poppmeier was awarded the van Well Medal by SPAR International and the Ring of Honour Award by SPAR Austria. In 1958, Dr Poppmeier played a leading role in founding SPAR Styria and SPAR Southern Burgenland and subsequently paved the way for the founding of SPAR Austria. From 1970 to 1998 he was a Board member of SPAR Austria and until the age of 80, he held the position of Deputy Chairman of the Supervisory Board of SPAR Austria. From 1960 onwards, he was responsible for numerous functions in retail in the Salzburg and Styrian Chamber of Commerce and in the Federal Chamber of Commerce, where he always promoted contemporary solutions in the retail business. In addition to this, from 1996 to 2004, he was Honorary Consul of Sweden. Dr Poppmeier first dedicated his professional career to the development and expansion of SPAR in Austria. He was responsible for the areas of expansion and legal affairs. During his time as a SPAR Board member, the brand increased its expansion into eastern Austria and entered regional shopping centres with INTERSPAR Hypermarkets. These later became major national shopping centres under the SPAR Austria division, SPAR European Shopping Centres (SES). In addition to his legendary negotiating skills, Dr Poppmeier was a great entrepreneurial personality, with exceptional energy. He leaves behind his wife Susanna, two sons, three daughters and their families. 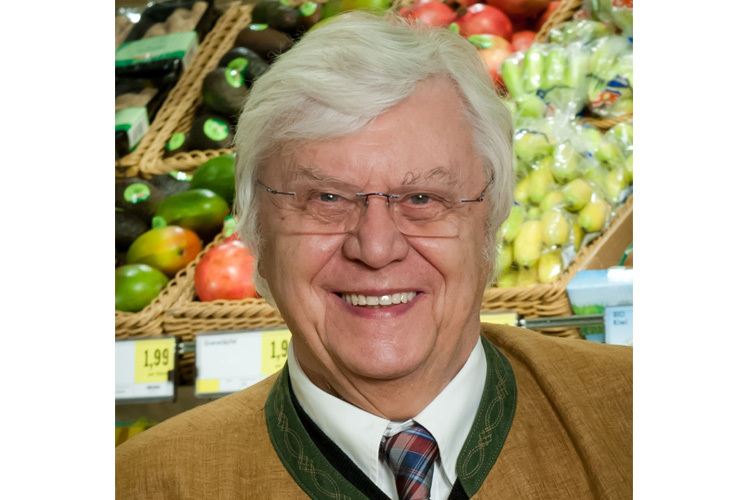 His two sons, Fritz and Peter Poppmeier, have carried on the family name within SPAR. Fritz is a Board member of SPAR Austria, while Peter is a member of the Supervisory Board of SPAR Austria. The origins of SPAR in Austria date back to 1954 and the current SPAR AG was created in 1970, when the original founding families joined with other regional wholesalers to form SPAR Austria AG – a 100% privately owned Austrian company. SPAR Austria’s gross retail sales growth reached 6.7 billion euro in 2017 from 1,566 stores including 757 operated by independent retailers. SPAR Austria is the largest private training organisation for young apprentices in their market.